Not being able to work and needing to hide from certain groups. 2:07 p.m. ET: Mantei points out that Doddington listened to the recordings despite the fact that he does not normally engage in reviewing this sort of material. 2:01 p.m. ET: Doddington speaks about the 911 call, saying, "Data of this sort is not going to provide any viable source for making a decision of any kind. I don't need to listen to it." but he admits that later, "curiosity got the best of me." 1:53 p.m. ET: Mantei says that Doddington does not typically do forensic analysis of voice recordings in his studies, and Doddington confirmed that to be true. 1:49 p.m. ET: Rich Mantei is back up to cross examine Doddington. 1:14 p.m. ET: Judge Nelson says the court will take recess for lunch until 1:45 p.m. She asks that Doddington not discuss anything about his current testimony with anyone, including his lawyers. 1:09 p.m. ET: O'Mara asked Doddington if he had a top secret clearance with the National Security Agency, and Doddington confirmed that he does and that he advises the NSA in the area of speech recognition. 1:03 p.m. ET: Doddington calls the current line of questioning "absurd." 12:54 p.m. ET: O'Mara asked Doddington if he had listened to the 911 recordings in headphones and Doddington confirmed that he had. 12:48 p.m. ET: Doddington says Tom own's method of analyzing ten seconds of speech over and over to reach a result is "ridiculous" and a "violation of common sense." 12:37 p.m. ET: Doddington is now discussing speech recognition used in other trials. 12:25 p.m. ET: When asked by O'Mara what happens to a normal voice when it becomes a scream, Doddington said he couldn't answer the question. 12:19 p.m. ET: Doddington says the variables of analyzing speech recording are many, and that the length of recording available is significant in analysis. 12:14 p.m. ET: Doddington has confirmed that he has examined the reports presented yesterday in regards to the Zimmerman 911 call. 12:04 p.m. ET: O'Mara has asked Doddington to define a spectographic analysis. Doddington says that it looks at a spectrographic display of speech to identify salient characteristics that can be used to identify speakers. 12:02 p.m. ET: Doddington explains that his role in a NIST evaluation was to create the test that was put out to the industry to be used for voice recognition analysis. He confirmed that he has been an independent contractor for the company since 2001. 11:55 a.m. ET: O'Mara is asking for a sample of a NIST evaluation process on a voice recording. Doddington is explaining the steps of the process. 11:52 a.m. ET: Doddington is explaining his role at the National Institute for Standards and Technology (NIST). 11:46 a.m. ET: Doddington says that there were no commercially available speaker recognition products on the market when he worked at Texas Instruments. 11:38 a.m. ET: O'Mara is asking Doddington what projects he worked on that covered the calibration of speech technologies. Doddington says all of his work in the last 20 years has focused on it. 11:35 a.m. ET: Doddington says that every voice analysis system is error prone, no matter how advanced. 11:31 a.m. ET: Doddington is talking about the work he did at Texas Instruments and that he worked on some of the first speech recognition products made. Doddington confirmed that he was the Chief Speech Scientist in his final position at the company. 11:21 a.m. ET: Lead Defense Attorney Mark O' Mara has asked Doddington to explain his educational background and his current work. 11:18 a.m. ET: Court has resumed. Dr. George Doddington, Ph.D is now on the stand. He is an electrical engineer who has worked for Texas Instruments for 20 years. For the last 10 years he has worked as an independent contractor and is an expert in speaker recognition. George Zimmerman is back in court today in his second-degree murder case to continue a hearing on whether jurors will hear testimony about who was heard screaming in the background of a 911 call before Trayvon Martin was shot. Circuit Judge Debra Nelson has been hearing testimony on the issue since Thursday, and is hearing from defense experts today. First to testify this morning was John Peter French of the United Kingdom, a voice-identification expert. French testified that the voice of a screaming person is "completely different" than their normal speaking voice. He said he's "never come across a case" in his 30 year career "where anybody's attempted to compare screaming... with normal voice." French added that the 911 audio in the Zimmerman case "isn't even remotely" appropriate for voice-comparison analysis. He said if a state agency had brought it to his lab, it wouldn't have even gotten "to first base" before he rejected it. "There can't be any meaningful findings" with these screams, French said. Another defense expert, California-based former Texas Instruments speech scientist George Doddington, was called to testify next. He expressed strong skepticism of voice-identification. "Speech is not like fingerprints," said Doddington, who said he has also done work for the National Security Agency and National Institute of Standards and Technology. "Speech is not like iris scans. Speech is not like DNA." 2:27 p.m. ET: Doddington has stepped down. The third witness is supposed to testify via Skype teleconference, but it will be 15 - 20 minutes until he is available. 2:20 p.m. ET: Doddington says he cannot address any questions that refer to the forensic community or how it operates. 2:10 p.m. ET: Mantei has completed his questioning, and O'Mara is back up. 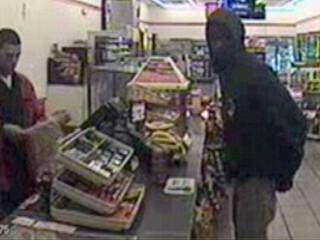 Evidence shows teenager in 7-11 store before altercation with George Zimmerman. Thank you for posting the tweets grace-land. 2:50 p.m. EST: Judge Nelson has announced that the third witness has been detained and declared recess. Court will resume Monday morning at 9 a.m.
You're welcome, Muffy. I wasn't home this morning. I'm glad that I got to listen to the last expert and to post the tweets from the hearing. The judge said that she'll make some time next week for the expert. Fess up,have any of you avoided stopping at a gas station or store seeing someone that dressed like he he was? I'm a big ol boy and I would. 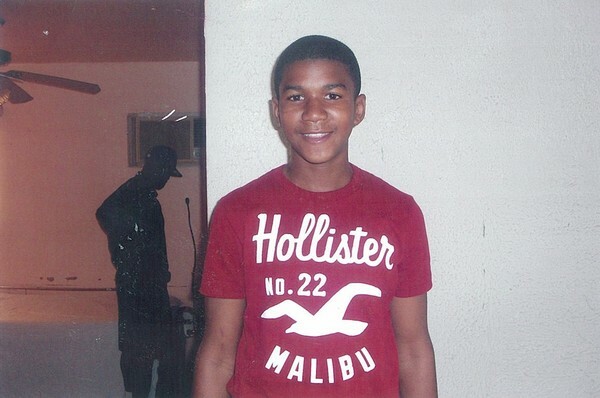 An undated handout photo released by the Martin family public relations representative shows Trayvon Martin. WTH?? No! Good grief... he was wearing a hoodie. Trayvon's father already stated the reason those pics were chosen is because they are photos they had readily available in the home. The more recent photos came off phones later. His answer seemed honest and forthright from what I recall. There was nothing sinister behind it and I don't see a big difference at all in the photos. 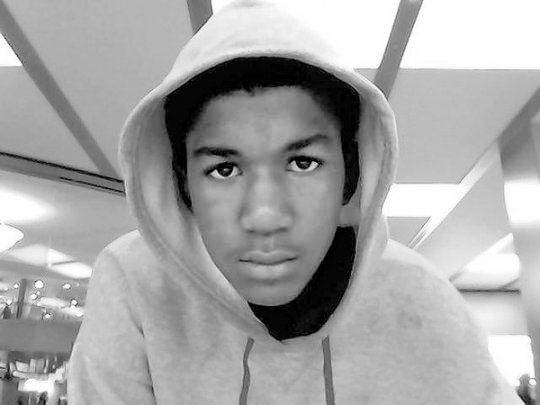 I don't find Trayvon to be 'scary'. These comments are bothersome. It's not okay to be a black kid in a hoodie? But it's okay to go after one when you're armed with a weapon? Also, according to the 911 call Zimmerman's description was that Trayvon was a teenager, not an adult. 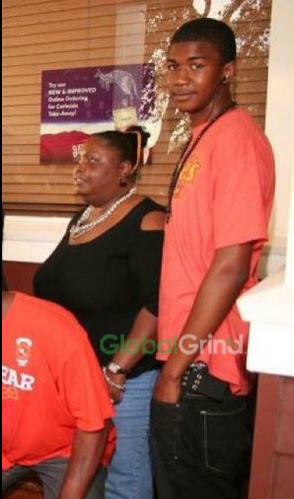 Trayvon was extremely skinny for his height. 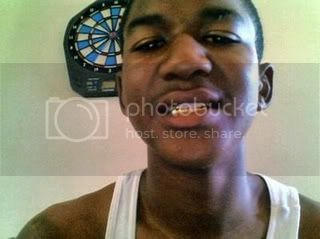 If he was formidable looking why did Zimmerman leave his truck to go after him? makes sense. So why use that photo alongside the one of GZ now? I find it very concerning. O'Mara said he doubts he will find six jurors and four alternates who haven't heard about the case but his goal is to find jurors who haven't formed opinions"
Anyone know how they decide whether to have 6 or 12? SANFORD – Six jurors will decide whether George Zimmerman is guilty of second-degree murder, but during jury selection at his trial, attorneys will pick a panel of 10, four of them alternates, according to Seminole County Clerk of Courts Maryanne Morse. Normally at a second-degree murder trial attorneys pick six jurors and two alternates, but in this case Circuit Judge Debra S. Nelson is apparently building in extra protection by adding more alternates. They typically sit in the jury box with other jurors and listen to the evidence then are released when the others go into a closed room and begin deliberations. As for jury selection, the judge asked Morse to summon 500 potential jurors for the trial. Those jury service notices went into the mail May 1. All 500 people will not show up the first day of jury selection, Morse said. On Day 1 it will be 100 to 200 people, she said, and each day after that about 100 new prospective jurors. "The objective of the court is basically to spread them out over the five-day cycle," Morse said. Potential jurors will be required to fill out a questionnaire then will be questioned individually, outside the earshot of other potential jurors. They'll be asked about their jobs, family, experience with police and the court system and what they've heard about the case. Morse said she hopes jury selection can be completed during the first week. Defense attorney Mark O'Mara earlier predicted it would take two to three weeks. Media, special interests, and politicians sully the waters of issues our country needs to face. It doesn't mean these are not legitimate issues. Not guns so much, most of us have a right to carry. If I was a young black man I would be angry and fearful with so many racists lurking everywhere who pretend they're not but secretly harbor anger toward black folk. It's a very real issue and the reason Trayvon was killed and people automatically think it was justified. If he was white many of the responses here would be vastly different.